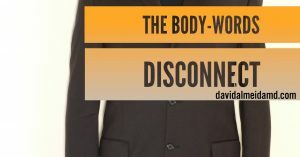 TASK AT HAND: This week I’m thinking about the body-words disconnect. The concordance, or lack thereof, between words and actions is a powerful revealer of motive. Congruence between what someone is telling you and how their body relays those messages speaks volumes to the truth, emphasis and purpose of the message. “Reading between the lines” and “it’s not what someone says, it’s how they say it” are popular clichés that remind us of the importance of the connection between words and mannerisms. The first step in understanding the body-words disconnect is carefully listening to what people tell you. The words serve as the message. If you don’t carefully listen to the message, any further interpretation will be lost. You need to be cognizant of what someone is telling you. Next, survey their body language. This requires visual and auditory engagement in the conversation. Visual input (facial expressions, body movement and position) is as crucial to auditory input (words, volume, inflection). The simplest – and extremely useful – aspect of the body-words disconnect is as follows: listen to the words people tell you and, if the words don’t match their body language, consider an alternative meaning or motive. For example, comments “welcoming” of your opinion expressed with a closed body posture (e.g., arms crossed) would indicate a defensive stance. The purpose of today’s Sunday Surgical Scrub is not make you an expert in decoding body language. Although this is an interesting skill set, it is obviously beyond a single post. However, the call to action is for you to be cognizant of the body-words disconnect and, when these two spheres do not align, look for alternative motives for the communication in question. 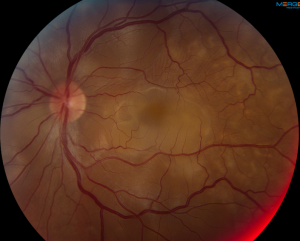 MEDICINE & MACULA: Here is a fundus color photo of a patient I saw recently with Vogt-Koyanagi-Harada (VKH) disease. VKH is a severe inflammatory condition with a myriad of ocular and systemic effects. 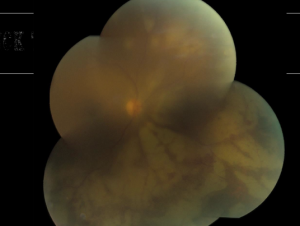 The fundus photo shows circumscribed retinal edema with multiple serous retinal detachments. The optical coherence tomograph (OCT) shows serous subretinal inflammatory infiltrates. “Everything that we see is a shadow cast by that which we do not see.” -Martin Luther King, Jr. 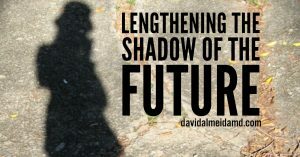 TASK AT HAND: This week I’m thinking about cooperation and lengthening the shadow of the future. Let me explain what this means. In game theory, the prisoner’s dilemma – commonly evoked in strategy development – is an example of a scenario where rational individuals would do better if they did not cooperate even though it appears that it is in their best interests to work together. – Two criminals from the same syndicate are arrested. – Each criminal is in solitary confinement with no ability to communicate with the other. – Prosecutors do not have enough evidence to convict either criminal on a major charge but hope to charge each with a lesser crime with a punishment of 1 year in jail. – At the same time, prosecutors offer each criminal a deal: testify against the other criminal and get off while the other gets convicted on a major charge and faces 2 years in jail. Or, cooperate with the other criminal, stay silent, and get 1 year in jail on the lesser charge. – If both betray each other, each of them serves 2 years in jail, on a major charge. – If both cooperate and remain silent, each serve 1 year in jail, on a lesser charge. – If one betrays the other but the other remains silent, one would get off free, and the other would serve 2 years. It would seem, looking at the possible outcomes, that the rational strategy would be for both to remain silent and serve the 1 year in jail on a lesser charge. However, this is not the best strategy. Game theory purports that it is clearly in the best interests of the criminal to betray the other for the possibility of no jail time. Since betrayal always results in a better payoff than cooperation – irrespective of the other person’s choice – it is the dominant theory. 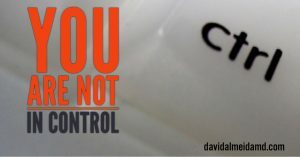 Because you cannot assure that the other criminal will stay silent, your only choice is to betray. In fact, in the prisoner’s dilemma, mutual betrayal is the only strong outcome. The dilemma occurs because mutual cooperation would provide a better outcome (only 1 year for both on a lesser charge) than mutual betrayal. But, this is not the rational outcome because, if you assume individuals act to maximize their self-interest, the choice to betray is preferred over cooperation. So, what does this have to do with lengthening the future? Shadow of the future is another basic game theory concept which states that we behave differently when we expect to interact with others repeatedly over time. At the prospect of having to interact multiple times, our behavior changes since we can now be punished or rewarded for previous choices. Our choices today are shadows on future interactions. If those criminals are loyal to their crime syndicate and expect to interact with that individual again, remaining silent becomes a significantly better strategy, albeit not entirely rational. This is a form of conditional retaliation strategy and favors cooperation. How can we use this for our decisions, choices and strategies? There is nothing wrong with working towards optimizing our self-interests; notwithstanding, be careful to not interpret the prisoner’s dilemma as always needing to solely pursue your best interests at one particular point in time. Assess the relationships in your decision and look for opportunities to lengthen the shadow of the future – look to cooperate and maximize value to others and support their interests as future prospects. 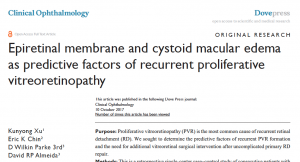 MEDICINE & MACULA: Many thanks to Clinical Ophthalmology for recently publishing our study, Epiretinal membrane and cystoid macular edema as predictive factors of recurrent proliferative vitreoretinopathy (Kunyong Xu, Eric K Chin, D Wilkin Parke 3rd & David RP Almeida). You can find our study in the October 2017 issue here. In it, we describe epiretinal membrane and cystoid macular edema as potential predictive factors for recurrent proliferative vitreoretinopathy. Early recognition and treatment of these conditions may be critical to prevent dreaded recurrent postoperative scarring and improve visual outcomes. TASK AT HAND: This week I’m thinking about the interplay between culture and strategy. What would you prefer – advantages in culture or a superior strategy? This a question that comes up frequently when looking at organizational design and strategic plans. There are two considerations we need to discuss when contemplating this answer. 1. Culture Trumps Strategy. A superior culture has definite advantages over strategy development. Organizational excellence is akin to having a built-in mechanism for effective strategy. To be part of an organization that is grounded in metrics and principles of development is always preferred because there is an inherent advantage to set processes and practices. An example I commonly use is a take a football team. A superior culture is analogous to a strong playbook whereas a superior strategy can be compared to one dominant play. You can use that one play successfully but, in the long run, developing a playbook that is composed of plays for a myriad of situations that may be encountered is best. 2. Strategy Shapes Culture. The main reason why one cannot simply rest on laurels of culture is because, culture alone, is not enough for long-term growth and improvement. There is a necessity to continue to develop strategies for the challenges encountered. It is in these circumstances where well-constructed strategy has the benefits of providing you with an approach to a problem. Moreover, at the same time, this strategy allows you to shape culture. Contrastingly, fragmented strategy that lacks cohesiveness, can harm cultural identity. 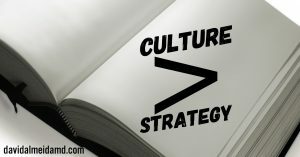 When I surmise the idea of culture and strategy, I feel the need to stress the importance of culture over strategy. However, effective strategy is a powerful influence on culture. The final point that should come to light, and one I discuss in my book in several chapters, is that strategy does not exist in a vacuum. Thus, aligning strategy with culture is an excellent path to achieving goals and objectives. 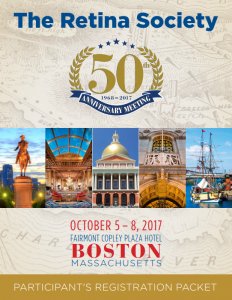 MEDICINE & MACULA: Yesterday, Saturday October 7th, Dr Ed Ryan presented one of our recent studies at the 50th Annual Retina Society Meeting at the Fairmont Copley Plaza Hotel in Boston, MA. 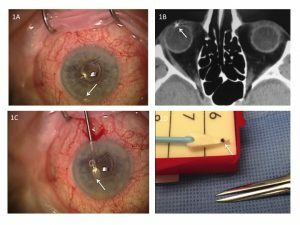 Our study, Outcomes of Current Techniques for Repair of Moderately Complex Phakic Rhegmatogenous Retinal Detachment, compares scleral buckle, vitrectomy and combined scleral buckle and vitrectomy surgical techniques in retinal re-attachment rates in phakic patients. 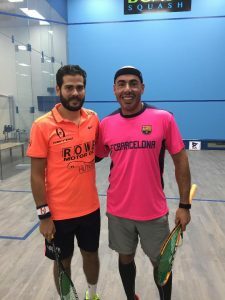 GRATIS: Last Sunday, October 1st, I had the once in a lifetime chance to share the court with Mr Karim Abdel Gawad for a squash event hosted by Boast Squash here in MN! Gawad is a professional squash player from Egypt who reached World No. 1 in May 2017. It was humbling and an honor to share the court with a fierce talent like Gawad. I had a blast and thankful to Gawad for having some fun with us amateurs! TASK AT HAND: This week I’m thinking about the concept of “the meaning of life”. All discussions, thoughts and contemplations are essentially about the meaning of life. At the very core, discourse on any meaningful topic is by virtue an introspective survey of that which holds some meaning in our lives. Consider, “is there one meaning of life” or “is all life about meaning”? 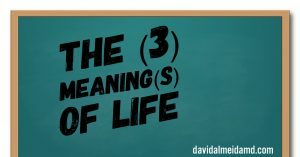 Here is my answer: there are 3 meanings of life that should be pursued and need to be satisfied. 1) Meaningful Health. We need meaningful health. Without meaningful health, the pursuit of all other goals is hindered. There are two key components to this aspect. First, meaningful health is not perfect health. We all know many able body people with excellent physical health who have stalled in life. Contrastingly, we know individuals with serious physical limitations who live energizing and impressive lives. 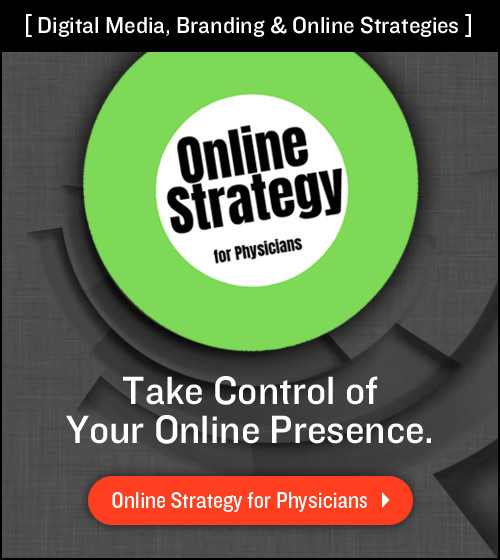 Second, meaningful health requires commitment to psychological and physical facets. Diet, sleep, reflection, exercise, recovery, stretching, etc. are all elements of meaningful health that require attention. 2) Meaningful Work. We require meaningful work. Purpose is the manifestation of meaningful work. We need work constructs that provide benefit to ourselves and others. This is one of the reasons why youth unemployment is a tragic economic problem. Individuals need the ability to purse interesting and valuable skills. Following, there is a real need for economic opportunity and societal activism to ensure we can contribute in a meaningful way to the growth of culture in both local and global senses. 3) Meaningful Relationships. All life is about relationships. Living is about family. Meaningful relationships, perhaps more than any other component discussed here, contribute most significantly to finding meaning in the lives we mold. Meaningful relationships – founded on trust, empathy, and selflessness – provide us with insight and opportunity for growth. Work towards meaningful health, contribute to mankind by means of meaningful work but, most importantly of all, seek out meaningful relationships to enlighten you. 1. Risk of intraocular foreign body is associated with mechanism of injury. 2. Ophthalmic examination should include dilation of the pupil. 3. Imaging should be conducted promptly to diagnose and localize intraocular foreign bodies. 4. Antibiotics should be prescribed early to prevent endophthalmitis. 5. Patients with an intraocular foreign body require urgent referral to an ophthalmologist.